In order to save time, make arrangements with a friendly cyclo driver (you can find plenty of them in the city proper) to take you to the tombs you would like to visit or visit the tombs as part of a package tour, as many tombs are set out of the way. 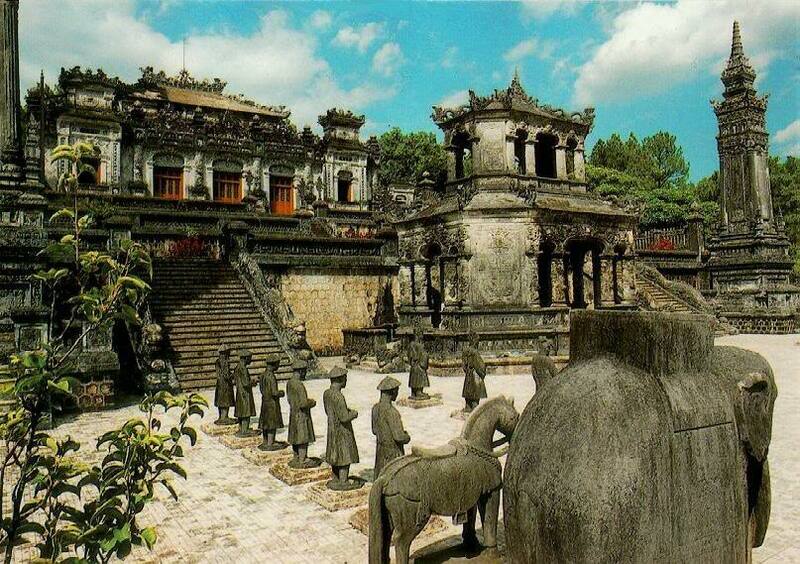 For each of the Hue tombs, the Vietnamese government charges an admission fee of VND 100,000 (about $4.50) per visit. Generally, the fee is not included in any package tours, and will be paid at the gate or collected from each passenger (in the case of package tours). 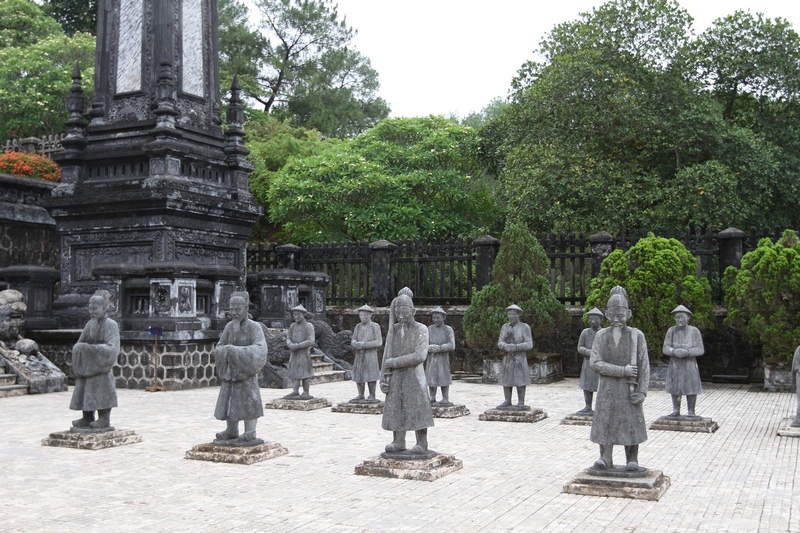 Adults (age 13-up) visiting the other, less-visited tombs get charged VND 40,000 per visit while visits to the top three tombs (Khai Dinh, Tu Duc and Minh Mang) pay the full rate. To get into the top three tombs, kids will get charged VND 20,000 per visit while visits in the other tombs for free. Assuming you are an adult over 13 years of age, you can get special package rates apply for the tombs by paying VND 280,000 to buy a single ticket for entry into the top three tombs. 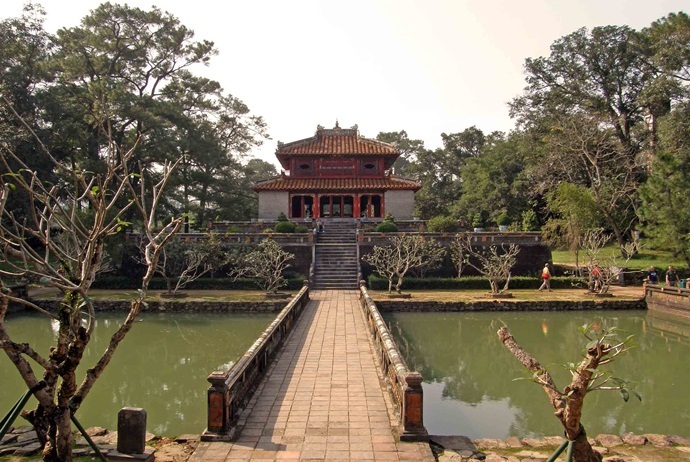 You can pay only VND 360,000 to buy a ticket that includes the Hue Citadel. 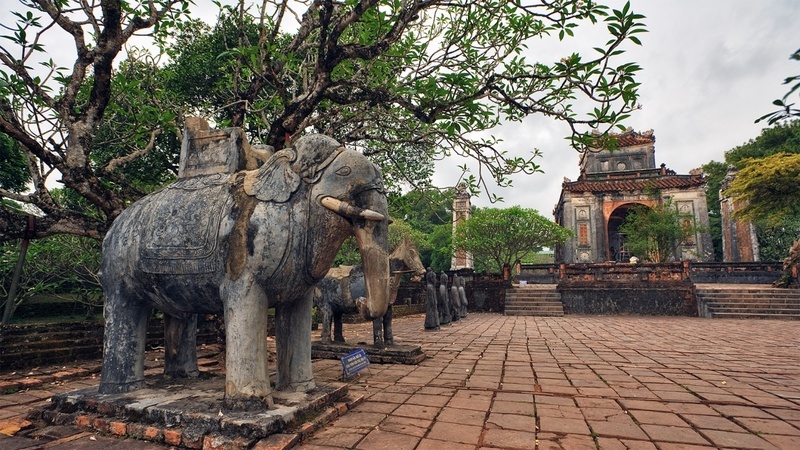 You can enjoy the Hue tourist scene in comfort in a typical tour package consisting of a trip to the Thien Mu Pagoda and the Hue Citadel together with a trip to the three most popular Hue tombs in the itinerary before ending with a scenic dragon boat ride down the romantic Perfume River through some tour companies such as Sinh Tourist. In the package, lunch is generally included. The Thien Mu Pagoda, the Purple Forbidden City, three tombs and a lunch break in between should be included in a full day tour. 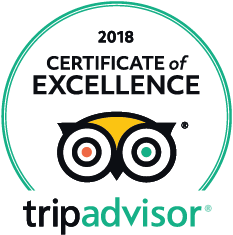 As you will only end up too tired and harassed to enjoy the trip, tours with more stops included actually have less value for money. Not including admission to the tombs, each tour costs each person about $10-12. Before setting off on the trip, agree on your price and make sure you are negotiating in the right currency ensure the amount negotiated covers the return trip, to protect yourself from any negotiating tricks. For one whole afternoon tour, it costs about $12-14. 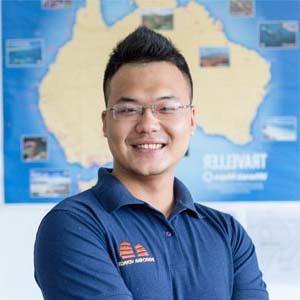 You can hire a bicycle for about US$1 a day or a motorbike for about US$5 a day from many hotels down the main tourist stretch at Hung Vuong Street if you feel you can hack the chaotic motorbike traffic in Vietnam. While you have the vehicle in your possession, be prepared to hand over your passport.